Hotel Poseidon Hotel Suites ponúka výhľad na mykonské veterné mlyny a nachádza sa iba 50 metrov od pláže Megali Ammos. Cozy, clean and breathtaking view from sea view single room with good price. Nice staff, facilities and breakfast. Easy to access to city center and most of tourist attractions. 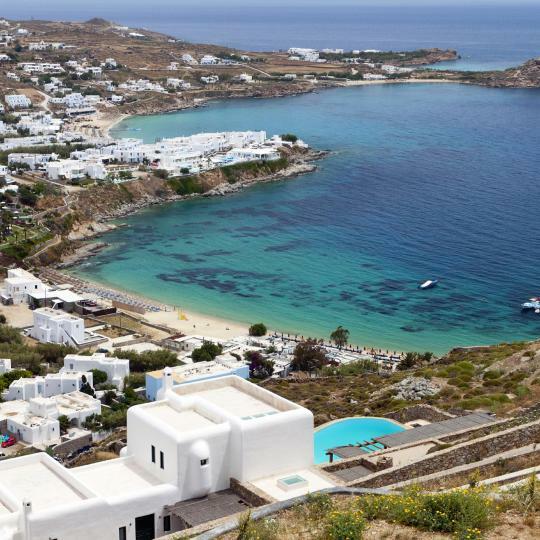 Situated conveniently in the middle of Mýkonos City, Hotel Rochari offers buffet breakfast and free WiFi. The hotel provides a seasonal outdoor swimming pool and a garden. Beautiful hotel right in the city Centre. Close to everything. Amazing facilities and the staff were very friendly and helpful! Offering an outdoor pool and free WiFi throughout the property, DreamBox Mykonos Suites is set in Ornos of Mykonos Island. 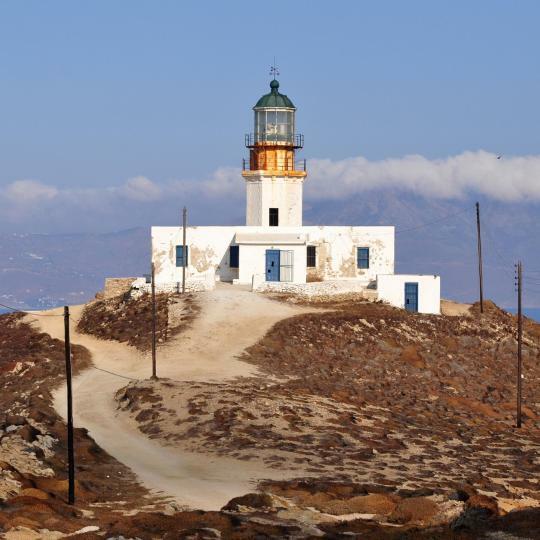 A short walk from Ornos Beach, the location is just a $10 EURO from Mykonos town. The staff is AMAZING! Amazing isn't even a good enough word to describe them! They helped setup a boat tour, when we had been canceled on by our original tour the night before! They setup ATV rentals, transportation, the boat tour. basically anything we needed! They were always available and breakfast was a dream! The staff in the bar/restaurant was impeccable! They were attentive, always smiling, helpful, and everything you could ask for in a service staff! Cannot say enough about this property and their staff! Ubytovacie zariadenie Absolut Mykonos Suites & More sa nachádza v centre mesta Mykonos, 2,8 km od Nammos Mykonos. Hosťom ponúka vonkajší bazén a výhľad na more. Amazing hotel! Close to mykonks town and little venice , the workers are very helpful. The breakfest was great ! , Beatiful view from the pool! 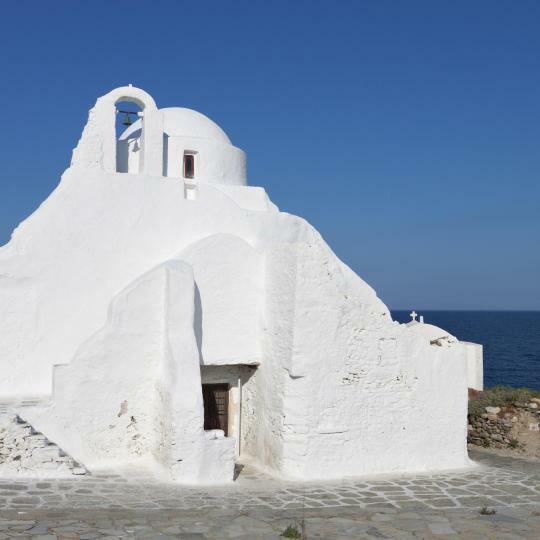 Baba Houlakia is located in the quiet Houlakia area, 4.5 km from Mýkonos Town and 100 metres from the pebbled beach. There is no way to give another title. Stephanos and Marios will make you feel like you were at home. The treatment is absolutely fantastic, good breakfast (better cook), they rapidly help you by giving best instructions to know the island and also they are really kind people. 100% recommend this hotel and of course we will choose it again if get back. Rezort Anax sa nachádza na pobreží v Agios Ioannis v oblasti Mykonos a je ideálnou kombináciou kykladskej architektúry a moderných služieb. Amazing hotel. Everything perfect, like 7 star hotel. 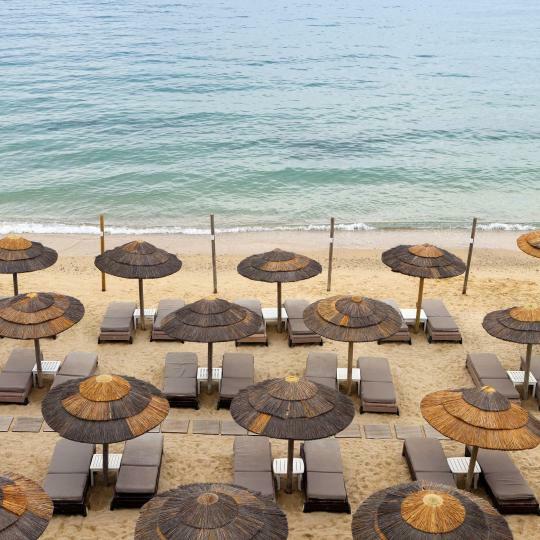 Offering an outdoor pool and Aegean Sea views, Lyo Boutique Hotel Mykonos is set in the vibrant Super Paradise Beach in Mykonos. Great experience! The hotel is clean and stylish. The stuff is friendly and very helpful. Helps to arrange transfers, car rental, etc. Breakfast is superb, and the sushi bar also. 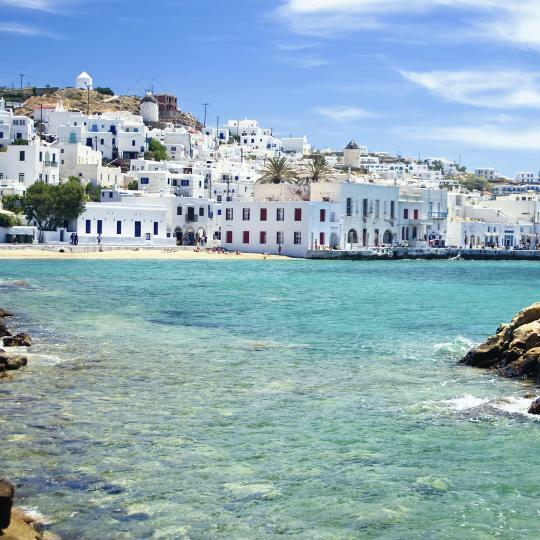 If you planing to visit Mykonos you must stay here! 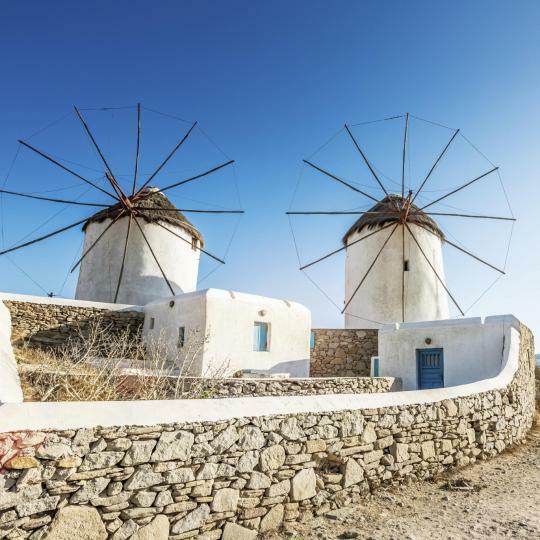 Boasting an outdoor pool and magnificent Aegean Sea views, My Mykonos Retreat is close to the cosmopolitan Ornos Beach in Mykonos. Location, views, breakfast, friendly stuff! Wonderful hotel! Hotel Poseidon Hotel Suites ponúka výhľad na mykonské veterné mlyny a nachádza sa iba 50 metrov od pláže Megali Ammos. Cozy, clean and breathtaking view from sea view single room with good price. 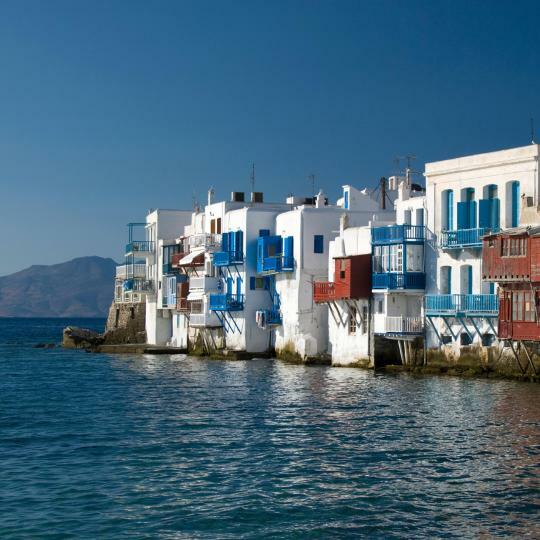 Situated conveniently in the middle of Mýkonos City, Hotel Rochari offers buffet breakfast and free WiFi. The hotel provides a seasonal outdoor swimming pool and a garden. Beautiful hotel right in the city Centre. Close to everything. Offering an outdoor pool and free WiFi throughout the property, DreamBox Mykonos Suites is set in Ornos of Mykonos Island. 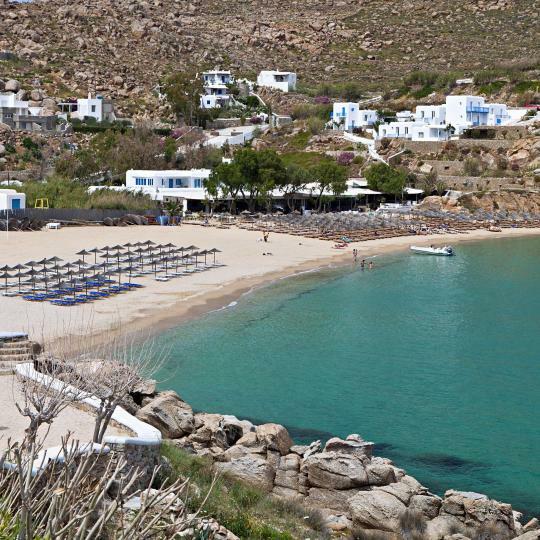 A short walk from Ornos Beach, the location is just a $10 EURO from Mykonos town. Ubytovacie zariadenie Absolut Mykonos Suites & More sa nachádza v centre mesta Mykonos, 2,8 km od Nammos Mykonos. Hosťom ponúka vonkajší bazén a výhľad na more. Amazing hotel! Close to mykonks town and little venice , the workers are very helpful. Thalassa Boutique Hotel - Suites sa nachádza priamo na pláži letoviska Platis Yialos, 4 km od kozmopolitného mesta Mykonos. V hoteli máte k dispozícii vírivku, fitnescentrum a reštauráciu. What a place! Beautiful hotel. Great pool and view. Offering an outdoor pool and Aegean Sea views, Lyo Boutique Hotel Mykonos is set in the vibrant Super Paradise Beach in Mykonos. Great experience! The hotel is clean and stylish. The stuff is friendly and very helpful. 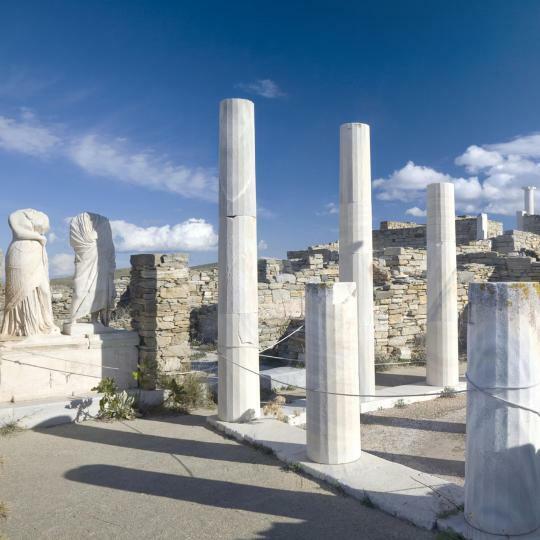 Ubytovacie zariadenie Cape Mykonos v kykladskom štýle ponúka elegantné ubytovanie s vynikajúcim výhľadom na more v stredisku Megali Ammos na Mykonose, necelých 400 metrov od kozmopolitného centra... Such a wonderful stay at Cape Mykonos. Hotel George s vonkajším bazénom a snack barom sa nachádza v obci Platis Yalos. Ponúka klimatizované ubytovanie s priamym alebo bočným výhľadom na Egejské more. This property is incredible. It exceeded are expectations in so many ways. Located in Kanalia of Ornos, Mykonos No5 Luxury Suites & Villas - World Hotels Collection offer an outdoor pool and a sun terrace. Sensational hotel! Luxury, laid back and beautifully designed. Right on the beach of Agios Ioannis, Hippie Chic Hotel features a pool and elegant accommodation with free WiFi. Friendly staff. Stunning location unmatched views. Great ambience. Rezort Mykonos Blanc sa nachádza v letovisku Ornos, len pár krokov od kozmopolitnej pláže. The property is amazing. Very well made. The location is Fabulous. Located 100 metres from Agios Ioannis Beach, the brand-new Lithos by Spyros & Flora is a whitewashed complex offering modernly designed accommodation with a furnished balcony. Marios is the best host ever !! He is really helpful and will make your trip in Mykonos perfect !! Päťhviezdičkový butikový hotel Mykonos Ammos sa nachádza na rušnej piesočnatej pláži Ornos a ponúka štýlové ležadlá a plážový servis. Gorgeous property with outstanding service. Highly recommend!!! Toto romantické malebné zákutie v meste Mykonos je dokonalým miestom, kde si užijete výhľad na západ slnka a more. Tieto biele veterné mlyny rozosiate po miestnych kopcoch sú symbolom ostrova a prvou vecou, ktorú si všimnete pri príchode na ostrov. Panagia Paraportiani je najfotografovanejším kostolom na Mykonose. Stavbu tvorí päť samostatných kostolíkov a jej dokončenie trvalo 200 rokov. Ostrov Delos, na ktorý sa dá dostať len z ostrova Mykonos, bol v antických dobách duchovným a ekonomickým centrom. Dnes je významným archeologickým náleziskom, ktoré rozhodne stojí na návštevu. Tento historický maják sa týči na myse Armenistis, odkiaľ sa otvára panoramatický výhľad na Egejské more a ostrov Tinos. Pláž Super Paradise, ktorá leží v obklopení skalnatých kopcov a krištáľovo čistého Iónskeho mora, je ideálnym miestom na celodenné párty. Na piesočnatej pláži Psarou, ktorá je obľúbeným miestom medzi celebritami, Vás čaká krištáľovo čisté more a populárne prímorská reštaurácie. Pláž Elia, najdlhšia pláž na Mykonose, je ideálnym miestom, kde sa môžete venovať najrôznejším vodným športom. Na nákupy a za zábavou sa vyberte na ulicu Matogianni s dizajnovými butikmi, legendárnymi barmi a umeleckými galériami. Scénické mesto Mykonos so svojimi dláždenými uličkami, renomovanými reštauráciami a rušným nočným životom, je najobľúbenejšou destináciou na ostrove. The hotel is wonderful: the rooms are well designed (we didn't need air conditioning, because the natural ventilation was very good) and the pool is great. The staff went our of their way to make us comfortable, booking us tours and solving our problems with flight reservations and car rental issues. 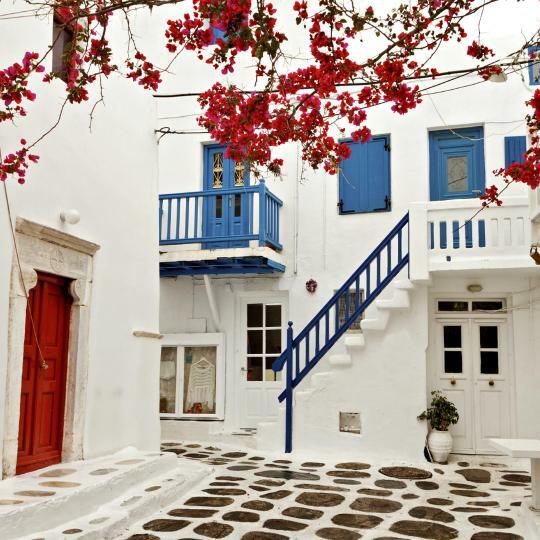 The hotel is extremely well located, for it is connected to beautiful alleys that serve as shortcuts to Mykonos Town. The restaurant gives an excellent view of the sunset on the Aegean Sea; the waitresses are attentive and caring and the bar tender is very competent. It was also a treat to enjoy DJ Panos's elegant selection of lounge and pop music. The Semeli Hotel should definitely be listed amongst Mykonos most privileged sunset spots. What a wonderful hotel. The staff was incredible and met all our requests (even cleaning our baby bottles themselves). Congrats to the family managing this hotel. Everything is done with taste and is made to feel you at home. I could not be happier with this stay! the sea view was awesome, the pool layout was very beautiful , the staff made as feel like VIP's from the moment of arrival until we left . The breakfast was very good , with a huge variety of anything you could ever wish for . Panos and his team were excellent getting everything we needed, even provide us with free transfers to the port were we catch our ferry , we will definitely comeback to Mykonos and to Aeolos hotel! Location is amazing! You are right on Paradise beach next to the nightclub. The staff is super friendly and will pick you up and drop you off at the airport. The bus stop is also 5-minute walk! The food in the restaurant was amazing. The buffet breakfast was one of the best I've had and we went back to the restaurant for dinner on our last night. Thumbs up all round! The free breakfast was unreal. The views were awesome and the concierge Anna was the best! Simply defined the way customer service and hospitality should be on vacation. Elegantný dizajnový hotel , vkusné interiéry, pohodlné postele, ochotný personál, výborné raňajky a služby. Obsluha hotela vyborna.Prijemni casnici,vyborna kuchyna.Vyborna poloha. Gorgeous property with outstanding service. Highly recommend!!! Beautiful hotel with a fantastic view and friendly stuff! Everything was perfect, great hospitality, great people.